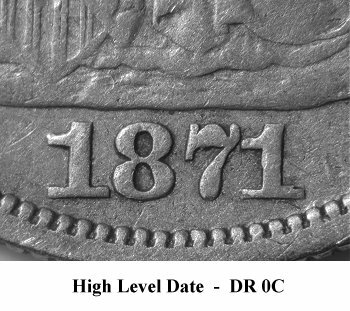 Comments: On Obverse 13, the second 1 digit is repunched. 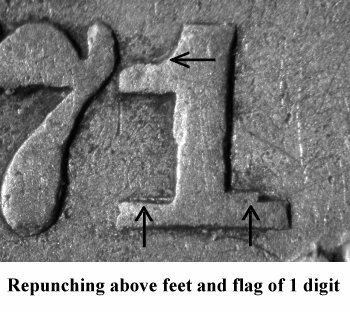 The repunching is visible above both the left and right feet and above the flag. 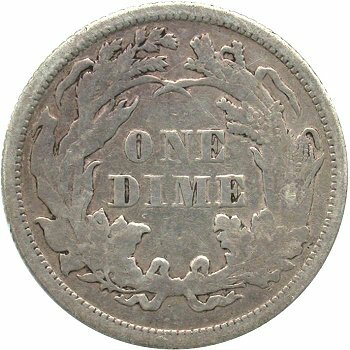 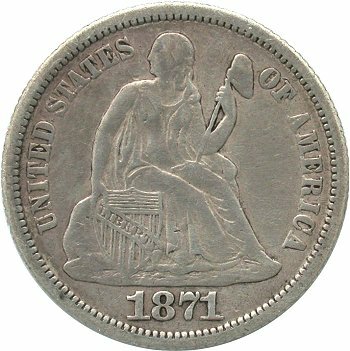 Typical of the 1871 date, there is some weakness at (OF A)MERICA on this obverse die.